Computational approaches to problem solving have proven their worth in many fields of science, allowing the collection and analysis of unprecedented quantities of data, and the exploration via simulation of previously obscure phenomena. We now face the challenge of scaling the impact of these approaches from the specialist to entire communities. I speak here about work that seeks to address this goal by rethinking science's information technology foundations in terms of service-oriented architecture. In principle, service-oriented approaches can have a transformative effect on scientific communities, allowing tools formerly accessible only to the specialist to be made available to all, and permitting previously manual data-processing and analysis tasks to be automated. However, while the potential of such "service-oriented science" has been demonstrated, its routine application across many disciplines raises challenging technical problems. One important requirement is to enable the convenient discovery and composition of services. Another is to achieve a separation of concerns between discipline-specific content and domain-independent infrastructure. A third is to streamline the formation and evolution of the "virtual organizations" that create and access content. I describe the architectural principles, software, and deployments that I am and my colleagues have produced as we tackle these problems, and point to future technical challenges and scientific opportunities. Ian Foster was born in Wellington, New Zealand. He has an bachelor of science (Hons I) degree in computer science from the University of Canterbury in Christchurch, New Zealand and a doctorate in computer science from Imperial College, London. 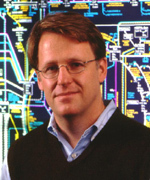 Foster joined the Mathematics and Computer Science Division of Argonne National Laboratory in 1989. He is now the Director of the Computation Institute at Argonne and the University of Chicago, where he is also the Arthur Holly Compton Distinguished Service Professor of Computer Science. His research deals with distributed, parallel, and data-intensive computing technologies; the applications of those technologies to scientific problems; and the mechanisms and policies needed to create and operate scalable scientific "cyberinfrastructures." He has published six books and over 300 articles and technical reports on these and related topics. Dr. Foster is chair of the Globus Management Committee, which leads development of the Globus Toolkit, the open source software that is widely used for Grid computing in both e-business and e-science. Foster is also Chief Open Source Strategist at Univa Corporation, a company he founded with other Globus leaders to foster and promote commercial applications of Grid technology. Dr. Foster is a fellow of the American Association for the Advancement of Science and the British Computer Society. His awards include the British Computer Society's award for technical innovation, the Global Information Infrastructure (GII) Next Generation award, the British Computer Society's Lovelace Medal, and R&D Magazine's Innovator of the Year, and DSc Honoris Causa from the University of Canterbury. Ontology mapping (or: ontology alignment, or integration) is one of the most active areas the Semantic Web area. An increasing amount of ontologies are becoming available in recent years, and if the Semantic Web is to be taken seriously, the problem of ontology mapping must be solved. Numerous approaches are being proposed, a yearly competition is being organised, and a number of survey papers have appeared. Nevertheless, with only a few exceptions, two obvious intuitions on ontology mapping have been overlooked: if humans perform "ontology mapping" in their daily life (a task we all solve every day), they do not do this in a vacuum. Instead, they exploit a rich body of background knowledge already shared by both agents involved in the mapping process. Similarly, humans do not expect that their daily-life ontology mapping is perfect. We can very well cope with approximate translations between concepts used by different agents (in fact, we are so good at it that we barely notice that we do this). In this talk I will discuss recent work where we have quantitatively shown that indeed, ontology mapping can benefit from background knowledge, and that, somewhat surprisingly, more background knowledge leads to continuously improving results. We also discuss how the use of such background knowledge can be exploited to find approximate mappings when perfect mappings cannot be found. Frank van Harmelen is professor in Knowledge Representation and Reasoning at the Vrije Universiteit Amsterdam, with a PhD from the University of Edinburgh on strategies for theorem provers and past work at the University of Amsterdam on formal foundations of knowledge modelling. He has been very active in recent years in developments around the Semantic Web. One of his five books is the first text book on Semantic Web technology. He is involved in numerous European Semantic Web projects, and he was one of the designers of the W3C standard ontology language OWL. He was the Program Chair of the ECAI 2002, the General Chair of the 2004 International Semantic Web Conference, and the chair the Semantic Web track of the 2005 World Wide Web conference. In modeling multiagent systems for real-life problems, techniques for approximate reasoning about vague concepts and dependencies (ARVCD) are necessary. In my talk, I will present an approach to approximate reasoning based on rough sets. This talk will include a discussion of a number of basic concepts such as approximation spaces, concept approximation, rough inclusion, construction of information granules in calculi of information granules, and perception logic. The approach to ARVCD will be illustrated by examples relative to interactions of agents, ontology approximation, adaptive hierarchical learning of compound concepts and skills, behavioral pattern identification, planning, conflict analysis and negotiations, and perception-based reasoning. Andrzej Skowron holds a Ph.D. degree in Mathematical Foundations of Computer Science from the University of Warsaw in Poland, Doctor of Science (Habilitation) degree in Mathematical Foundations of Computer Science from the University of Warsaw in Poland. In 1991 he received the Scientific Title of Professor. Andrzej Skowron is Full Professor in the Faculty of Mathematics, Computer Science and Mechanics at Warsaw University. He is the head of the Logic Section in the Institute of Mathematics. He is a vice-chairman of the Scientific Council at Institute of Computer Science of the Polish Academy of Sciences and a member of Computer Science Committee of the Polish Academy of Sciences. From 1988 to 1990, he was the Deputy Dean of the Faculty of Mathematics, Computer Science and Mechanics at Warsaw University. From 1994 to 1999, he was also the Head of the Senate in the Polish-Japanese Institute of Information Technology. Andrzej Skowron is the author and co-author of almost 300 scientific publications, 15 edited books and several special issues of international journals like Pattern Recognition Letters, Neurocomputing, Computational Intelligence, Journal of Intelligent Information Systems (Kluwer), Journal of Intelligent Systems (Wiley). His areas of expertise include soft computing methods and applications, reasoning with incomplete information, approximate reasoning, rough sets, rough mereology, granular computing, synthesis and analysis of complex objects, intelligent agents, knowledge discovery systems, and advanced data mining techniques, decision support systems, adaptive systems. Currently, his research is focused on rough set theory and its applications. Since 1995 he is the Editor-in-Chief of Fundamenta Informaticae journal and a member of Editorial Boards of several others journals including Knowledge Discovery and Data Mining and Knowledge and Information Systems, An International Journal. He is the co-editor-in-chief of the journal LNCS Transactions on Rough Sets published by Springer. 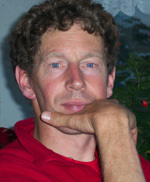 Andrzej Skowron was the President of the International Rough Set Society from 1996 to 2000, and now he is a member of Steering Committee of IRSS. He served or is currently serving on the program committees of over 70 international conferences and workshops, as program committee member, program chair or co-chair. For example, he was the program chair of The 2005 IEEE/WIC/ACM International Conference on Intelligent Agent Technology (IAT'05) and 2005 IEEE/WIC/ACM International Conference on Web Intelligence (France, 2005), the co-program chair of the IEEE International Conference on Granular Computing (GrC 2005) (Beijing, 2005), and the co-chair of the conference Trends in Logic III: In memoriam of Andrzej Mostowski, Helena Rasiowa, and Cecylia Rauszer (Poland, 2005). 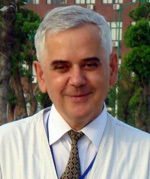 He has delivered numerous invited talks at international conferences including a plenary talk at the 16-th IFIP World Computer Congress (Beijing, 2000). In 2005 he delivered keynote talks at 8th International Conference on information Sciences (JCIS 2005) (Salt Lake City, USA, 2005) and at the First International Conference of Pattern Recognition and Machine Intelligence (Kolkata, India, 2005). Throughout his career Andrzej Skowron has won many awards for his achievements, including awards from the Ministry of Science, the Rector of Warsaw University, the Ministry of Education, Mazur's Award of the Polish Mathematical Society, and Janiszewski's Award of the Polish Mathematical Society. In 2003 he received the title of honorary professor from Chongqing University of Post and Telecommunication (China). In 2005 he has received the ACM Recognition of Service Award for Contributions to ACM. In recent years he was involved in several national and international research and commercial projects related to, e.g., data mining (fraud detection, web mining), control of unmanned vehicles, decision support systems and approximate reasoning in distributed environments. During the last decade research groups as well as a number of commercial software developers have started to deploy embodied conversational characters in the user interface especially in those application areas where a close emulation of multimodal human-human communication is needed. Most of these characters have one thing in common: In order to enter the user's physical world, they need to be physical themselves. My talk focuses on challenges that arise when embedding synthetic conversational agents in the user's physical world. I will start from work on synthetic agents that populate virtual worlds and anthropomorphic robots that inhabit physical worlds and discuss how the two areas need to be combined in order to populate physical worlds with synthetic characters. Finally, I will report on so-called traversable interfaces that allow agents to cross the border from the physical space to the virtual space and vice versa. 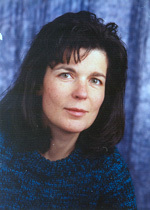 Prof. Dr. Elisabeth André is a full professor of Computer Science at Augsburg University, Germany and Chair of the Laboratory for Multimedia Concepts and their Applications. Prior to that, she worked as a principal researcher at DFKI GmbH where she has been leading various academic and industrial projects in the area of intelligent user interfaces. Her current research interests include embodied conversational agents, affective computing, intelligent multimedia interfaces, and the integration of vision and natural language. Elisabeth Andre is the Chair of the ACL Special Interest Group on Multimedia Language Processing (SIGMEDIA). Furthermore, she is on the editorial board of Artificial Intelligence Communications (AICOM), Cognitive Processing (International Quarterly of Cognitive Science), Universal Access to the Information Society (UAIS), Autonomous Agents and Multi-Agent Systems (JAAMAS). She is also the Area Editor for Intelligent User Interfaces of the Electronic Transactions of Artificial Intelligence (ETAI), and was a member of the editorial board of Computational Linguistics for the period 2002-2004. New generations of Web Intelligence (WI) research and development need to understand multi-nature of intelligence in depth. As two related emerging fields of research, WI and Brain Informatics (BI) mutually support each other. When WI meets BI, it is possible to have a unified and holistic framework for the study of machine intelligence, human intelligence, and social intelligence. Their synergy will yield profound advances in the analysis and understanding of data, knowledge, intelligence and wisdom, as well as their relationships, organization and creation process. The recently designed instrumentation (fMRI etc.) and advanced IT are causing an impending revolution in both WI and BI, making it possible for us to understand and develop human-level Web intelligence. In this talk, we briefly investigate and demonstrate the potentials of WI research from BI perspective. Ning Zhong received the Ph.D. degree in the Interdisciplinary Course on Advanced Science and Technology from the University of Tokyo. He is currently head of Knowledge Information Systems Laboratory, and a professor in Department of Systems and Information Engineering at Maebashi Institute of Technology, Japan. He is also director and an adjunct professor in the International WIC Institute (WICI), Beijing University of Technology. He has conducted research in the areas of knowledge discovery and data mining, rough sets and granular-soft computing, Web intelligence, intelligent agents, brain informatics, and knowledge information systems, with over 150 journal and conference publications and 10 books. He is the editor-in-chief of the Web Intelligence and Agent Systems journal (IOS Press), and Annual Review of Intelligent Informatics (World Scientific), associate editor of IEEE Transactions on Knowledge and Data Engineering, and the Knowledge and Information Systems journal (Springer), a member of the editorial board of Transactions on Rough Sets (Springer), and the editorial board of Advanced Information and Knowledge Processing (AI&KP) book series (Springer), Frontiers in AI and Applications book series (IOS Press), and editor (the area of intelligent systems) of the Encyclopedia of Computer Science and Engineering (Wiley). He is the co-chair of Web Intelligence Consortium (WIC), chair of the IEEE Computer Society Technical Committee on Intelligent Informatics (TCII), member of the steering committee of IEEE International Conferences on Data Mining (ICDM), IEEE GrC Task Force Committee and the Advisory Board, the steering committee of International Rough Set Society. He has served or is currently serving on the program committees of over 80 international conferences and workshops, including IEEE ICDM'02 (conference chair), IEEE ICDM'06 (program chair), IEEE/WIC WI-IAT'03 (conference chair), IEEE/WIC/ACM WI-IAT'04 (program chair), and IJCAI'03 (advisory committee member). He is a senior member of IEEE, and a member of IPSJ, JSAI, IEEE-CS, IEEE-SMC, ACM, AAAI, and IRSS.